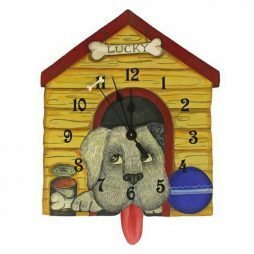 This whimsical dog house clock features a bone on the second hand and the adorable dogs tongue is the pendulum. 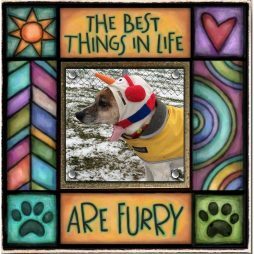 Original design by Terrie Floyd. High quality litho is laminated on a hand-cut wood shape. Quartz movement requires 1 AA Battery. All edges are hand painted. 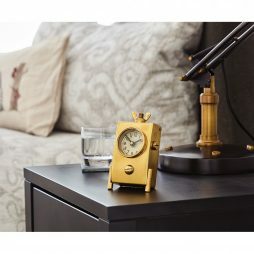 Positioned weightily on your table in its cast aluminum casing and solid brass hardware, this compact and rugged clock evokes the graceful power of the bygone days of aviation’s golden age. Patterned after a 1939 Army Air Corps altimeter, the high-contrast black dial and cream color hands compel precision and purpose. 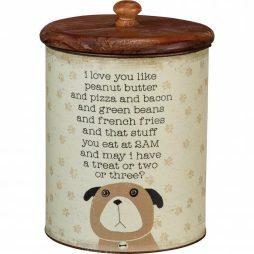 A rustic-inspired metal treat canister featuring a “I Love You Like Peanut Butter And Pizza And Bacon And Green Beans And French Fries And That Stuff You Eat At 2 AM And May I Have A Treat Or Two Or Three?” sentiments with dog and paw print designs. Contains top wooden lid. 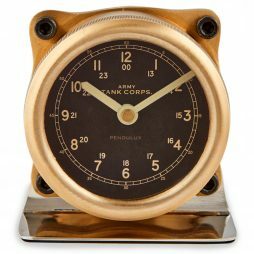 With its heavy solid brass case cast directly from a WWII original, the Sherman table clock is as robust and distinctive today as it was when mounted on the dash panel of an American tank. Made to withstand heavy vibration and the rigors of armored warfare, Sherman displays the time distinctly behind a thick glass lens. 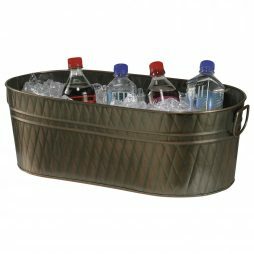 A nickel plated steel base and black anodized hex fasteners add to its military provenance. Expressions of Time cares about our customer’s satisfaction. That’s why we strive to offer the best value and quality products. We are authorized dealers for brands you can trust. This means your manufacturer’s warranty will be honored. 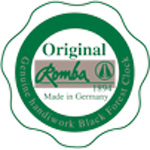 You’ll find beautiful mechanical clocks from Kieninger, Hermle, Howard Miller and Sternreiter; authentic Black Forest cuckoo clocks from Romba; limited edition timepieces from Swiss clockmaker, L’Epee; decorative clocks from Bulova; and home accessories from Uttermost. Can’t find a specific model? 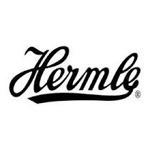 As an authorized dealer, we can get any item currently available by the brands we offer. Contact us with the item number and manufacturer, and we’ll be happy to inquire about availability. 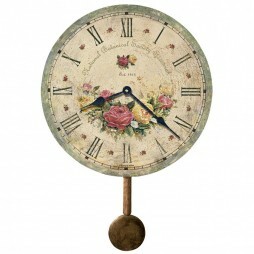 This beautiful Cooper Classics decorative wall clock will make a statement on any wall. 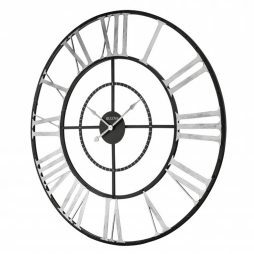 The Hamilton clock features a round shape, 32 inches in diameter. The wood frame is finished in a unique blend of brown and gray. 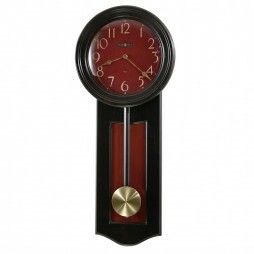 The appealing color combination give a timeless look to this wall clock. 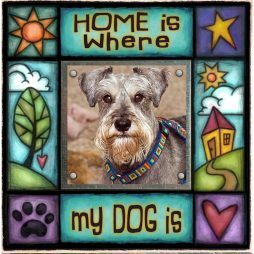 Borders on the inside and outside are in the black color, and create a clear and visible round border between the frame and glass lens. The glass lens protects the aged dial. 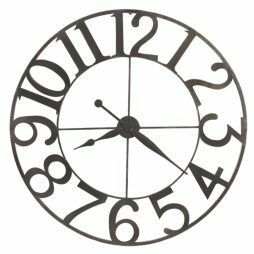 The Hamilton wall clock features Roman and Arabic numerals. Roman numerals are finished in a subtle gray; while the smaller Arabic numerals are light red. The quartz, battery operated movement allows for long lasting use; with no need to wind the clock. 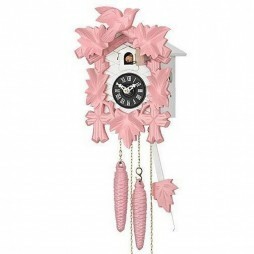 Accentuate the beauty of any room when you add this beautiful, decorative wall clock. 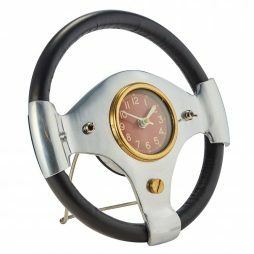 This wall clock has a beautiful visual appearance with unique features you will love. This clock has an aged dial with Roman and Arabic numerals. The colors of the Roman numerals blend in perfectly with the overall look of the clock. 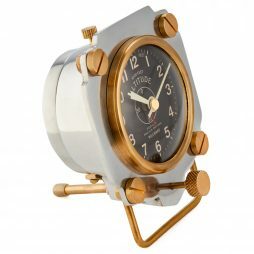 This wall clock also has brass accents and quartz,battery operated movement. 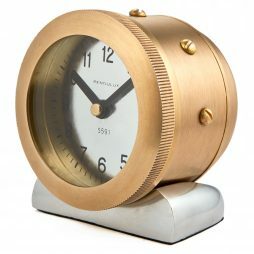 If you’re looking to add a decorative touch to your home or office this clock will be exactly what you’re looking for. It’s a timepiece that speaks volume in style and taste. 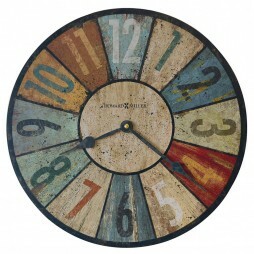 Rustic charm and a multitude of colors add to the appeal of the Sylvan Decorative Wall Clock. 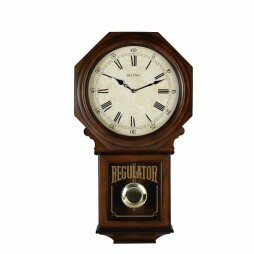 This 13″ clock features an aged background with large Arabic numerals and spade-shaped black hands. 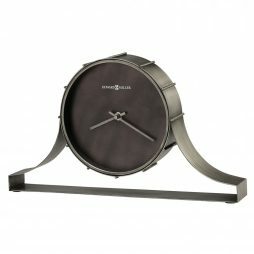 Styled to perfection, this beautiful Howard Miller St. Clair Wall Clock can be a stunning addition in your home decor. 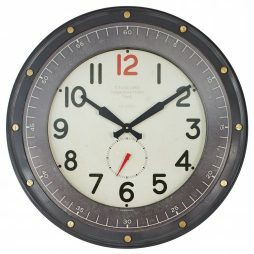 It is a 36 inch large wall clock with aged, marine blue numerals on wrought iron. 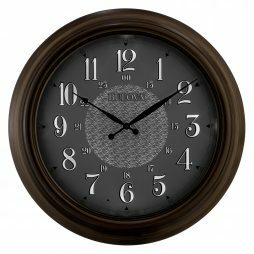 This rustic wrought iron wall clock features applied metal Romans numerals and is finished in charcoal gray with silver edging. 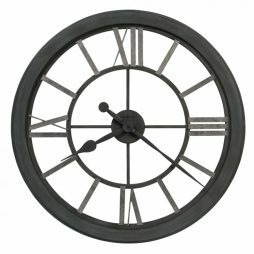 Create thoughtful interiors of your home, this Howard Miller Lacy 30″ Wrought Iron Wall Clock is a full 32 inches in diameter. This wrought iron wall clock features stamped Roman numerals. Finished in dark charcoal gray with silver edging. The hands are finished in charcoal gray with silver edging. 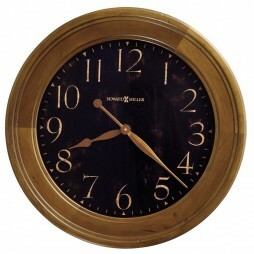 The Hambish 59 1/2 -Inch Wall Clock is one of the largest decorative clocks from Cooper Classics? Hambish collection. 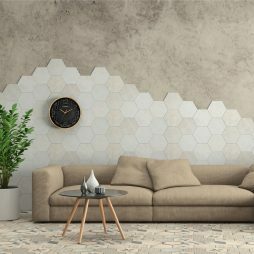 It is an ideal vintage wall accent for spacious hallways. It is literally an oversized wrist watch that?ll look beautiful hanging on your wall. 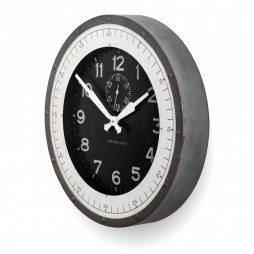 The clock has a distressed flat black finish with pretty brown undertones. The dial has a unique, antique look and the straps that extend go elegantly with it. This endearing telltale has stunning hands that point towards the crisp Arabic numerals. Brighten up your favorite room of choice with the white and golden radiance of this timeless piece. Black hands, a polished brass bell as well as a pendulum stand out against the backdrop of dazzling white provided by the wrought iron frame and chapter ring, creating an effect that is simply magical. 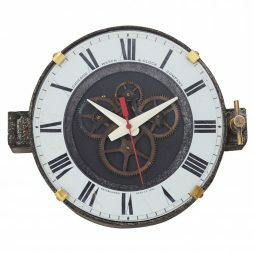 The wall clock also features a weight and a mechanical, 8-day chain driven skeleton movement. 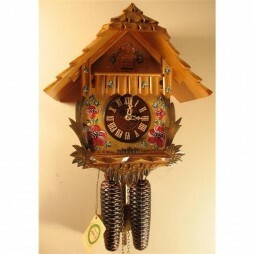 Add a creative touch to the walls of your house with this German Cuckoo Clock with 1 Day Movement by Sternreiter. 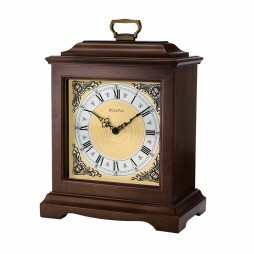 Adorning a traditional and elegant walnut finish, this mechanical movement clock is hand carved in Germany. This clock is a real piece of creativity with grape leaves, maple leaves and a bird top, all of which are carved from solid Linden wood. 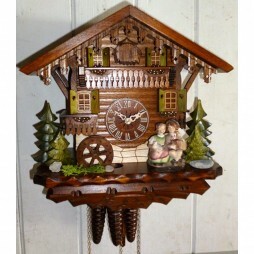 This clock makes a lovely cuckoo call when the clock strikes the hour or half-hour.The cuckoo appears from the door and calls along with the clocks? gong strike. This one-day movement clock comes with a 2 year warranty. 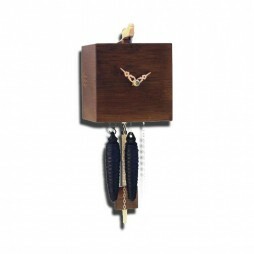 Designed by Romba and made in Germany, this wooden bird clock is truly a treasure. 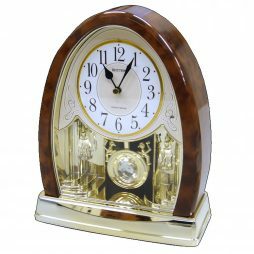 Being so unique and beautiful, this clock is a perfect fit for every home and dcor, be it traditional or modern. 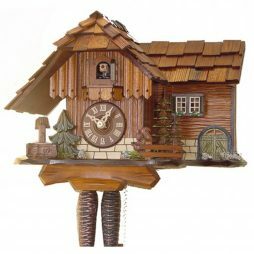 That animated cuckoo bird appears after every hour along with playing some whistles and melodious bellow. The clock features a plethora of amazing features, which includes no use of batteries or any other electrical power source to use. 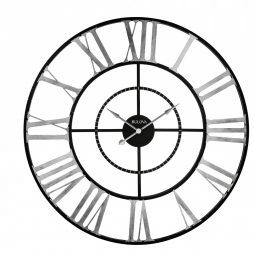 And, the clock is made entirely of bamboo, which is one of the most renewable resources. With the eight-day movement, all you need to do is pull weights once a week to wind. 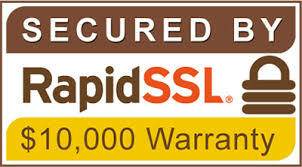 Moreover, it comes with a 2-year warranty and is available at affordable prices. 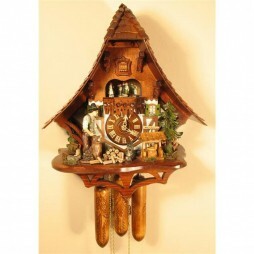 Cuckoo Clock with Squirrels from the exclusive Romach und Haas collection is a cultured and well-crafted teller of time that has a unique frame and finish. 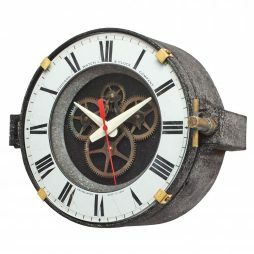 This large decorative clock takes inspiration from the old-world craft of watch making. 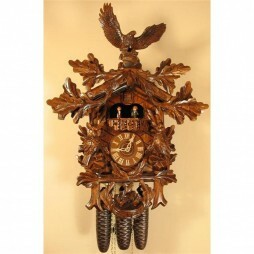 It has an intricate and gripping design that features dimensional carvings of hunting horn, guns, trophies, ammunition pouches, all circled by the pristine oak leaves. 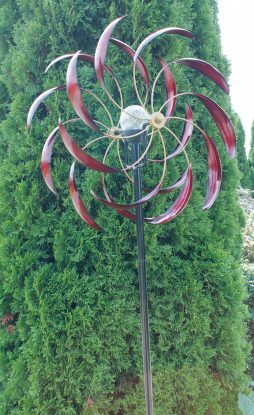 Crafted in Germany, the clock can efficiently run for 8 days on one single wind. 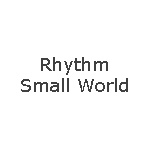 It has animated dancers that call an hour with a music box mechanism and shut-off switch. 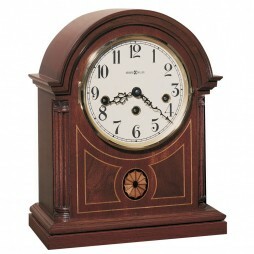 Get this VDS-certified reproduction clock for your home today! 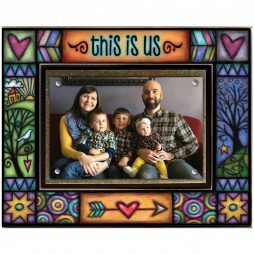 Looking for the perfect gift or an accessory for your home? 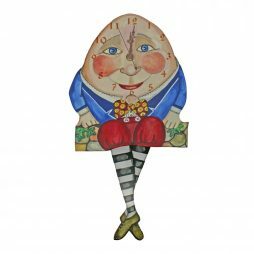 Expressions of Time welcomes you to browse through our large selection of decorative wall clocks, mantel clocks, lamps and home accessories. 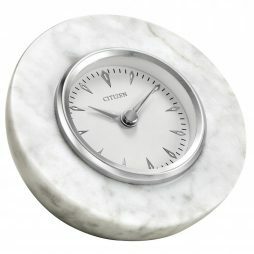 We have clocks for any occasion and in any style. When you find something truly perfect, simply add to cart and proceed through our simple and secure checkout. 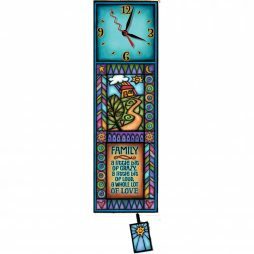 Wall clocks—from decorative to contemporary—you’ll find the perfect clock right here. 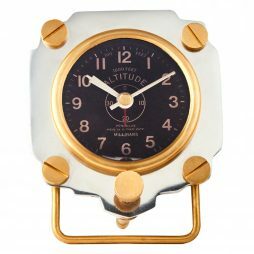 With brands like Kieninger, Bulova, Cooper Classics, Howard Miller, Rhythm, Hermle, Uttermost, and others, you know that these clocks are with the best quality materials and craftsmanship on the market. Large wall clocks are a perfect focal point for those lonely walls. With the right wall décor, your walls won’t be lonely any more. Our selection varies in style and size, but remains affordable. 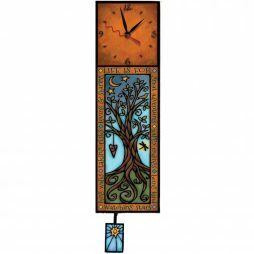 Wrought iron wall clocks with unique designs or old world charm will look nice in your home or an excellent gift. 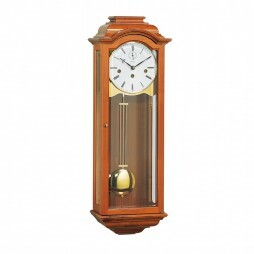 Pendulum wall clocks offer a nice sense of comfort in their traditional appearance. These designs are classic and will never go out of style. Available in variety of finishes from oak to cherry and mahogany, they’ll make great accessories. 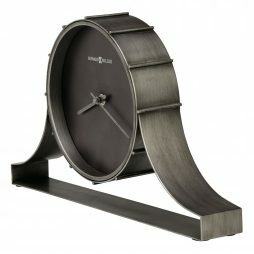 For those looking for something a little more modern, take a peek at our contemporary wall clocks. Clean lines, geometric and unique shapes, and simplicity are all favorable design features. 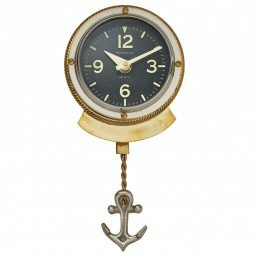 Clock collectors, check out our beautiful selection of L’Epee and Kieninger clocks. 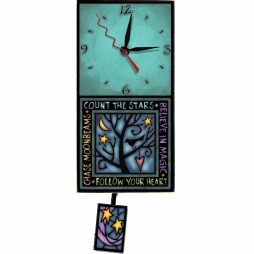 Beautifully designed and produced, these clocks will be a wonderful addition to your collection. 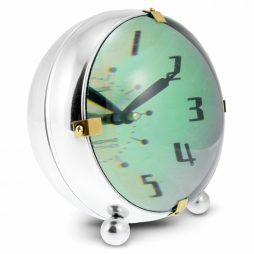 Expressions of Time makes it easy to search for gifts and home accessories. We offer timepieces from leading clock manufacturers who have displayed exceptional quality, originality and innovation in timepiece design. These manufacturers and distributors were selected because each offer the value and quality that consumers expect and deserve. Let us help you create an inviting and wonderful space. 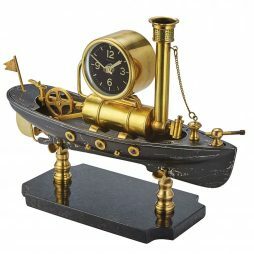 Expressions of Time offers a comprehensive selection of quality clock gifts, and clocks, home decor clocks, wall clocks, pendulum wall clocks, black forest cuckoo clocks regulator wall clock mantel clocks, time zone clocks, Westminster chime clocks with automatic nighttime shutoff, oversized wall clock, home decor gifts, contemporary, traditional and antique style mantel clocks. 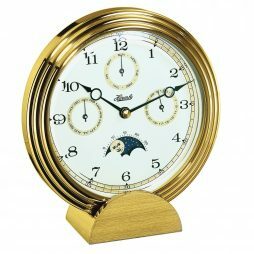 You’ll also find a beautiful selection of Kieninger German Clocks, Rhythm Clocks, Howard Miller Clocks, Bulova Clocks and Hermle Clocks; as well as a line of clocks made in the United States, Bradford Clocks. From humble beginnings, today’s world’s largest watchmaker was born from a dream by Bohemian immigrant Joseph Bulova. Over the course of their over one hundred year history, their unprecedented design and timeless style has become one of the most recognized in the world of timepieces. 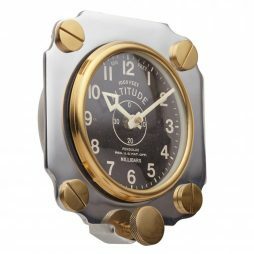 Known for their watches, mantel clocks, decorative wall clocks, and other unique clocks, Bulova has become synonymous with excellence in design. Bulova clocks are some of the most attractive available and every pieces is expertly designed to include modern features, precise movement and an ageless look that will keep them attractive and sought after for generations to come. 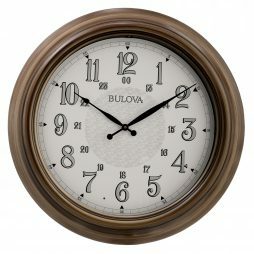 From decorative wall clocks to mantel clocks and everything in between, Bulova offers something that will fit perfectly with a rustic kitchen, modern living room, elegant office and more. 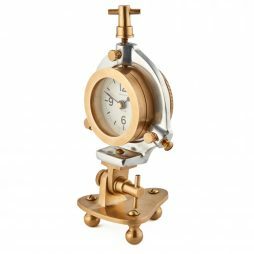 With a tremendous selection of artistic triumphs, Bulova clocks will add a touch of class and sophistication to any room, desk, or mantel they adorn. 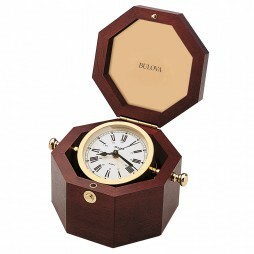 We offer a large selection of Bulova clocks from bedside alarm clocks to chiming wall clocks. 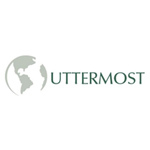 Browse all of these brilliant testaments to exquisite artistry today! 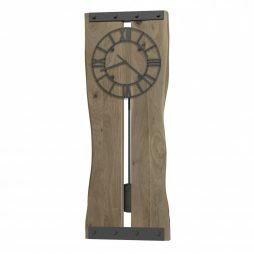 Enhance any wall with the classis, golden oak Manorcourt Oak Wall Clock. The two-tone dial features Roman numerals. The exterior is solid oak and oak veneer. 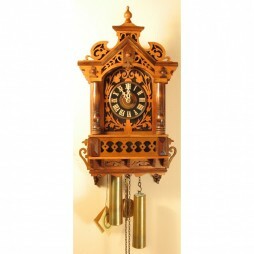 And dual-chime movement plays a Westminster or Whittington melody on each quarter hour and counts the hour. (Adjustable volume control and night shut-off). The brass finish metal dial and pendulum are enhanced by the decorative screen glass. The Frank Lloyd Wright Usonian II Mantel Clock reflects the “board and batten” walls utilized in the Usonian homes. 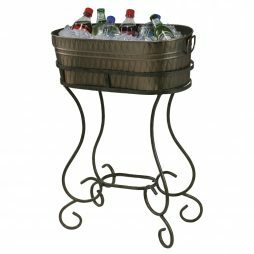 Its’ unique and timeless design make it an excellent addition to a tabletop or mantel. 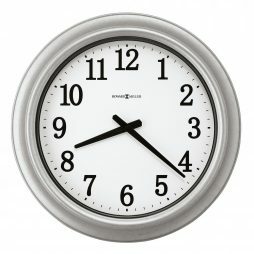 The clock includes an engravable plate for easy customization. 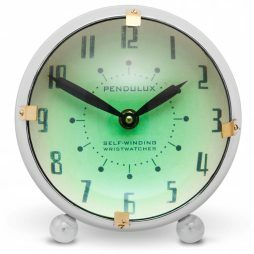 Each Tephra Wood Frame Wall Clock is one-of-a-kind timepiece with the domed fired glass dial. 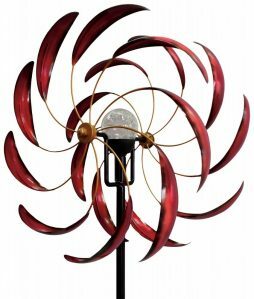 The design includes a wood frame in a dark cherry finish and curved hands. Truly a unique piece! 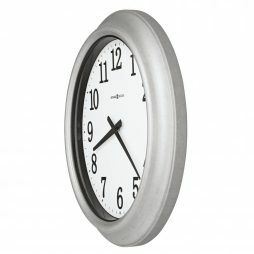 Looking for a modern wall clock? Look no farther. 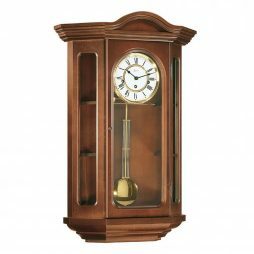 The Avent Wood Case Contemporary Wall clock features a two-tone walnut and mahogany finish on its’ wood case. A convex glass lens protects the off-white dial with stylized Arabic numerals. The look is completed by a brushed aluminum pendulum. Commemorate a special event with the engraving plate that is included. 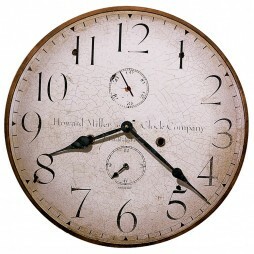 Howard Miller has been a trusted name in clocks since its inception in 1926. 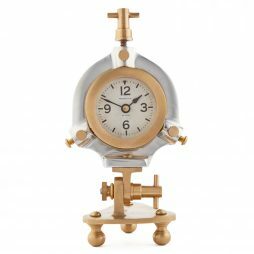 As a second generation clockmaker, Howard Miller’s whole life was spent designing clocks that looked beautiful and functioned precisely, providing both value and quality which is still a hallmark of the clock brand today. In the early years, the company manufactured mantle and reproduction wall clocks. 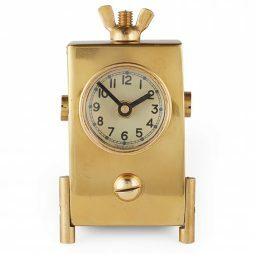 Then in 1933, Howard Miller Company started producing modern design clocks. The company won several awards for its creative design leadership. 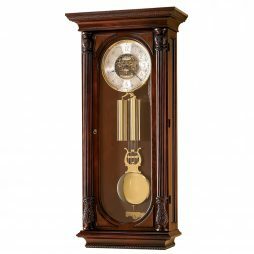 In 1964, the leading brand established a modern factory, and thus dominated the grandfather clock market across the world. Although Howard Miller died in 1995, his company is dedicated to continuing his vision. Today Howard Miller Clock Company is the largest manufacturer of grandfather clocks in the world and the leading clock company in U.S. 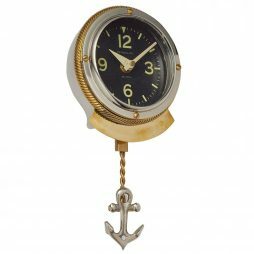 These well-crafted Howard Miller clocks add a chic touch to your home decor and are available in both contemporary and antique styles. 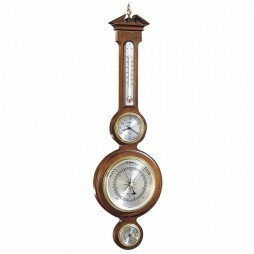 Some clocks feature pendulums, polished brass dials and a chime. 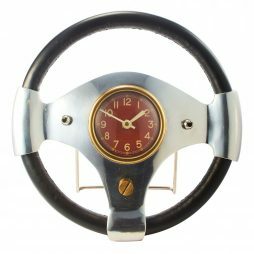 No matter which model you pick from our large inventory on ClockShops.com you can rest assured of getting the best quality product. 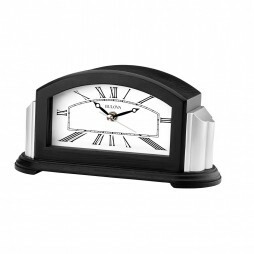 This contemporary wall clock is a symbol of class and quality. 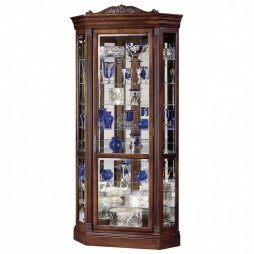 The black satin finish and the glass case of this unique piece show pure craftsmanship. 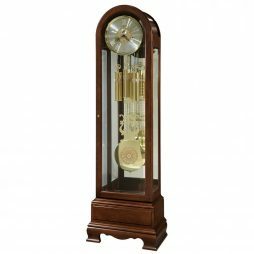 The elegant curved glass case in front makes this clock unique. The most attractive feature of this masterpiece is the decorative burl back panel; Roman numeral dial along with nickel finished bezel and grid pendulum. The quartz, battery operated dual chime German Kieninger movement plays your choice of Westminster or Ave Maria. Volume control and automatic nighttime shutoff are also an outstanding feature of this beautiful clock. 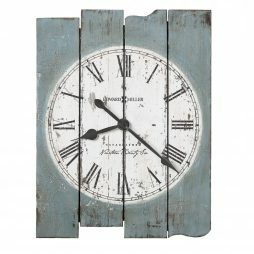 Make your favorite room stand out with an eclectic table clock featuring traditional and contemporary influences in its design. 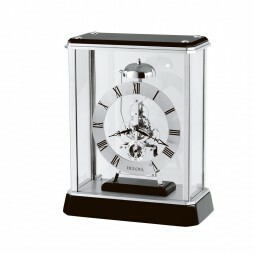 Brought to you in a round clear crystal case on a black crystal base, the Howard Miller Fusion Table Clock will add its own unique radiance to any room you place it in. This striking time piece also comes with a silver finished chapter ring with Roman numerals through which its gear mechanism can be seen. 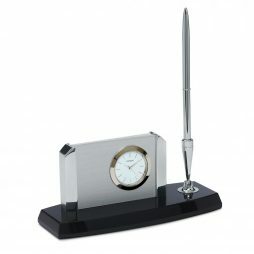 In addition to these features which make it so special, this table clock also comes with a black presentation box. 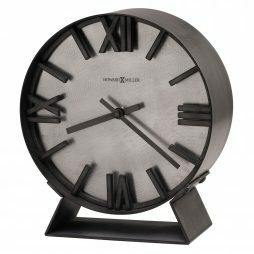 Add a stylish, modern look to your home with the Howard Miller Milan Table Clock. Contemporary design creates a striking mix for this polished chrome-plated metal arch tabletop clock with genuine walnut veneered inset sides and a polished chrome-plated base. White dial is suspended in a clear acrylic panel and features contemporary black bar style hour markers; black hour, minute and seconds hands; and a silver alarm hand surrounded by a polished chrome-finished bezel. Hinged front glass doors feature antique charcoal finishedbar pulls. 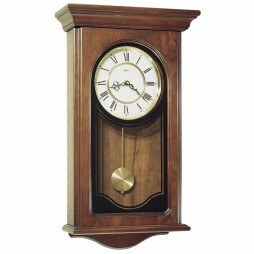 Make the dcor in your favorite room stand out thanks to the Howard Miller Gardner Mantel Clock?s style and allure. 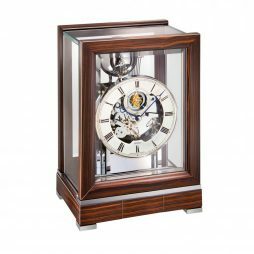 Brought to you in a frame in a Macassar Ebony finish, this clock also comes with a dial in silver and white with black hands while Roman numerals further add to its elegance. 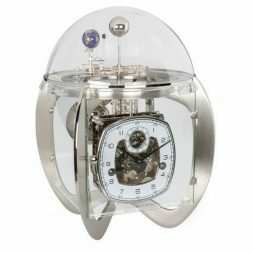 This time piece has also been fitted with a unique, revolving pendulum located beneath the dial as well as a Quartz, battery-operated movement. 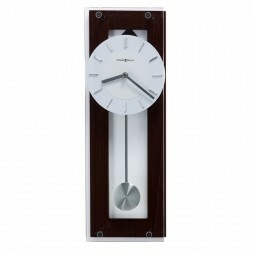 Create an elegant statement in your home when you buy this Howard Miller Jennelle keywound wall clock. 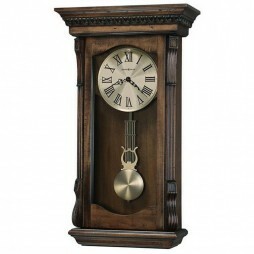 This wall clock has a flat top pediment that beautifully accents the olive ash burl corner overlays. Made with select hardwoods and veneers with a beautiful Windsor Cherry finish. 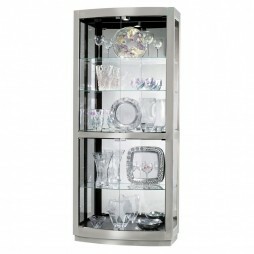 With a sculpted bottom on the hinged door that completes the beautiful design. This clock is key-wound and has a Westminster chime movement. 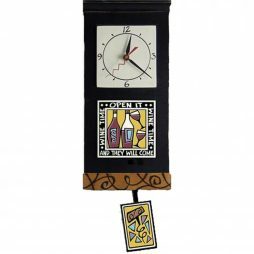 This unique chiming wall clock will make a great addition to either a home or office. Pendulux designs some of the most unique timepieces we have to offer. 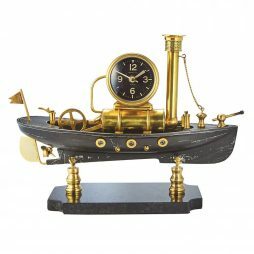 Each piece is designed with an industrial, nautical, or aviation influence. 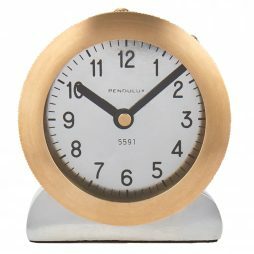 Pendulux brings their love of all things historic, functional and beautiful to all of their designs. Their historically inspired reproductions are truly special. Each piece tells a story. 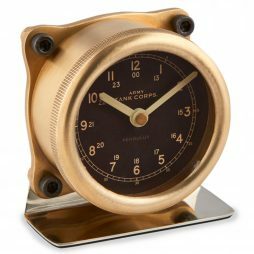 Whether it’s the Nautilus Table Clock inspired by the circa 1902 French torpedo; the Pendulux Navy Aluminum Master Clock featuring an exact scale reproduction of a 1939 US Navy master ship clock; or an Altimeter Table Clock based on altimeters from WWII aircraft with its stout brass screws and rugged shape, you’ll learn a little history through each timepiece. All design work and proto-type build is completed in the United States. Once a finished design is approved, overseas factories manufacture the clock to Pendulux’s quality standards. 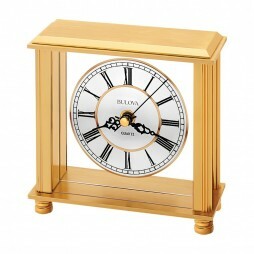 Only high-quality materials; solid brass, aluminum and glass are used to construct each clock. You won’t find cheap plastic parts. 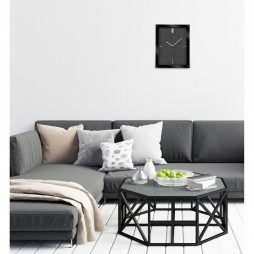 With one of the lowest return rates, we’re sure you won’t be disappointed with the purchase of a Pendulux wall or table clock. Cast aluminum. 16.5”. 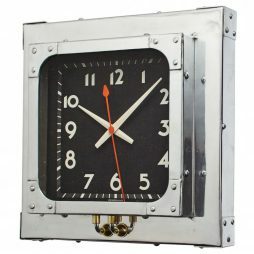 Based on the utilitarian electric clock cases of the 1930s, the heavy solid aluminum construction of the Detroit Wall Clock’s case securely frames a square Deco dial found in classic American diners. 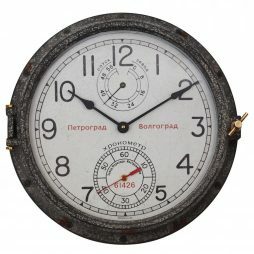 Authentic period hands and original sweep seconds hand reside above a field of black and point to the clock’s unique markings, in which three hours equally grace each plane. 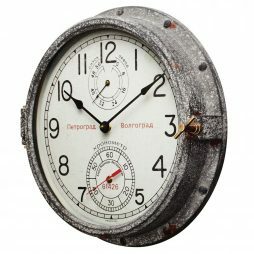 A circa 1917 US Doughboy canteen is the inspiration for this stout cast aluminum table clock. 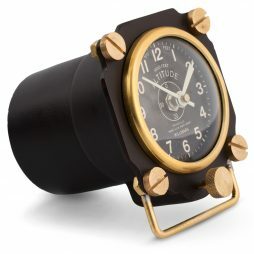 Fitted with a cast brass shrapnel grille – designed to protect early wristwatches from bomb blasts – accurate time is securely presented on your desk. 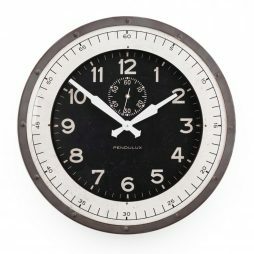 A vintage military clock dial allows for easy reference at any hour. Screw down rear cover provides access for battery changes and time adjustments. Aluminum, solid brass. 7.5”. 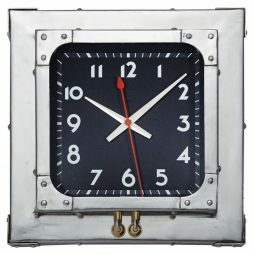 An enlarged version of a clock found in WWII Army Air Corps planes, this clock features distinctive aluminum like the kind used in the cockpit. 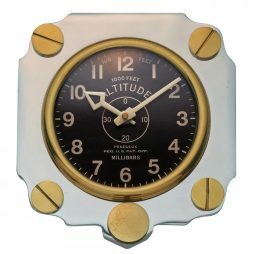 The dial is a reproduction of an authentic altimeter that displayed a plane’s altitude in thousands of feet, while the hands were designed to be easily seen, even when descending rapidly from 30,000 feet. Steel case with glass lens, 20” diameter. Inspired by an original found at a 1950s military airstrip, our version features a rugged grey steel riveted case with glass lens and a two-level dial with a working seconds hand. 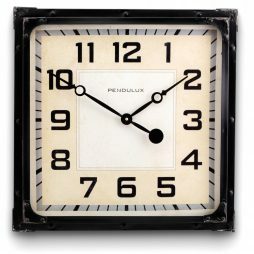 The vintage pattern hands and numbers are painted white to contrast with the jet-black clock dial. Style, quality and innovation are synonymous with the Citizen brand. 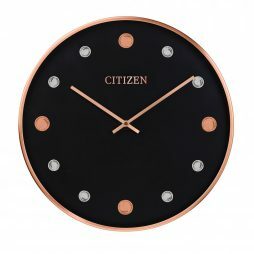 High quality materials, unique design and attention to detail allow Citizen to deliver some of the finest home and office clocks on the market today. 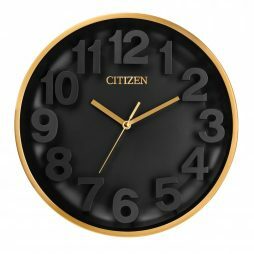 Citizen offers a wide range of traditional and contemporary-designed decorative clocks, gallery wall clocks; stylish and elegant executive desk sets and office clocks. 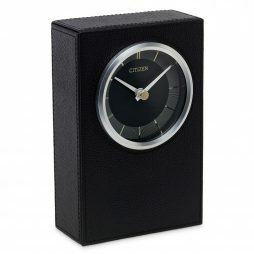 Listen to your favorite music with Citizen’s collection of table clocks with Bluetooth speakers. Just connect your bluetooth mobile device and stream music to any room. Always know the time, temperature and humidity level with the highly accurate Citizen outdoor wall clock series. 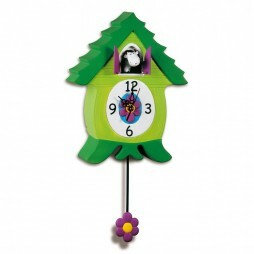 Each outdoor clock features a weather resistant movement. 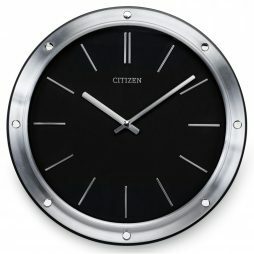 Add a unique look to any room with a Citizen decorative table clock or gallery wall clock. 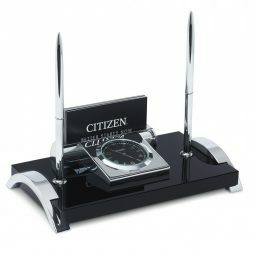 The Citizen Executive series make great business gifts. 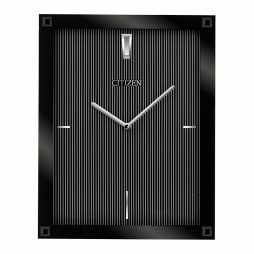 Citizen Clocks offer a fresh new look from a well-known and respected brand. 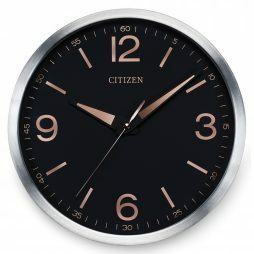 Citizen outdoor water-resistant silver-tone circular clock with black-dial with hygrometer and thermometer, with luminescent dial accents. Sword style hour and minute hands with green luminous on top. Protective glass lens. Sweep second hand.